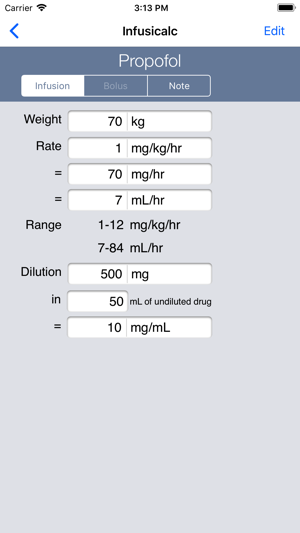 InfusiCalc is a drug dose calculator which can be used for either continuous infusions or bolus drugs given parenterally, suitable for use in anaesthesia, emergency room, critical care, medical retrieval and many other medical fields. • Calculation of flow rates of infusions in mL/hour based on other basic units such as mcg/kg/min. • The storage of standard concentrations of solutions and normal ranges of doses, to facilitate preparation of solutions and choice of rates. • The conversion of different doses and rates from one type to another. Drugs can also be grouped together into "sets" by procedure or situation (for example "neuro", "rapid intubation","pediatrics") allowing all drugs and doses to be seen on the screen simultaneously. It comes preinstalled with approximately 100 drugs commonly used in operating rooms, emergency rooms and critical care environments. Further drugs can be added simply and easy. 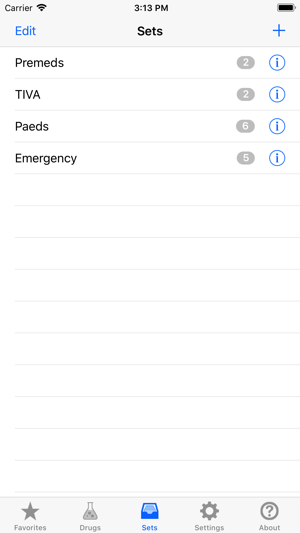 InfusiCalc for the iPhone replicates the functions of InfusiCalc on the Palm, possibly the most highly regarded application in this field for over a decade, by the same Author, Dr Chris Jones, anesthesiologist from Sydney, Australia. InfusiCalc has been translated into French, German,Italian, Portuguese, Spanish and Chinese (simplified). Japanese and Russian are in development. 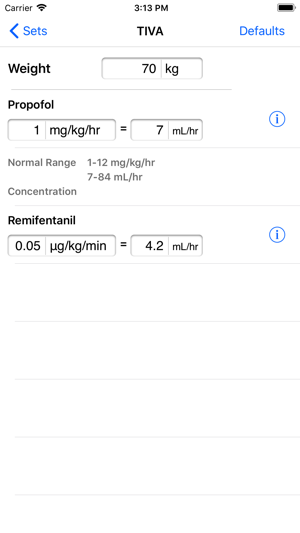 This is by far the best infusion calculator on the market.I used it for years on my palm…there is not a product that compares with InfusiCalc. I use InfusiCalc on my Palm almost every day. It is THE ONE medical software for handhelds in the anaesthesiology sector. + Support can be found at www.infusicalc.com. We will reply to any email within 24 hours. + recent reviews to the effect that it is not possible to edit values of infusion is **incorrect**. 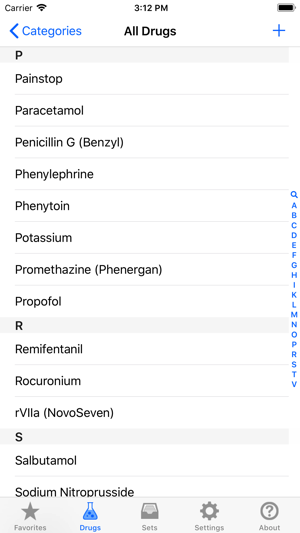 You can add any number of drugs to the database, as well as edit any of the values of the existing drugs provided. Please ignore this unfair review. Infusicalc is by far the absolute best app in its class on the App Store! 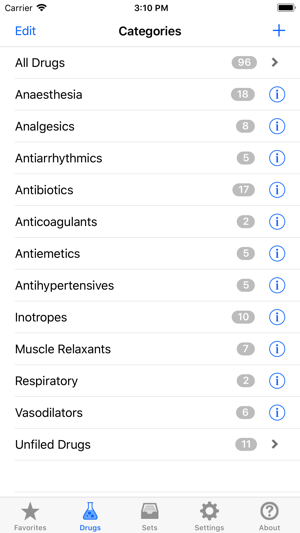 I am a paramedic and have tried many different drug calculation apps and none come even close to the efficiency and customization of Infusicalc. As a Flight nurse I love the fact I can double check my doses, put my own meds in and make notes!! This by far is the best app to have for ICU and ER. This is a must have app! Love this app! I have been using it since the "palm pilot" days. Please update soon! !